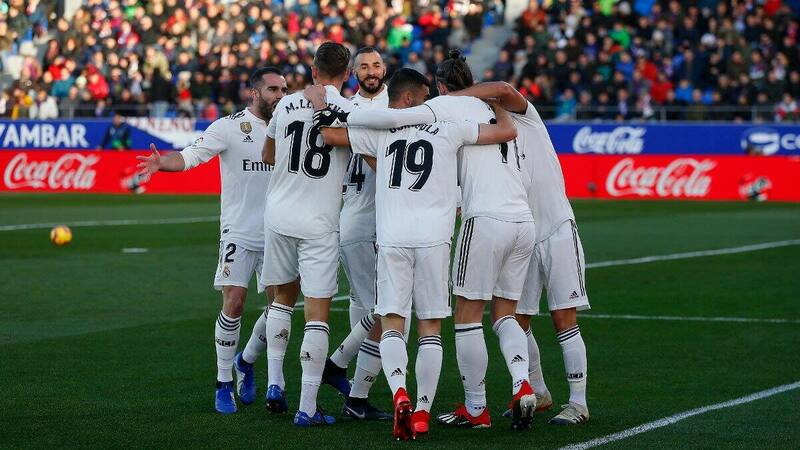 Real Madrid who are the reigning European League champions have been crowned as the biggest club in the world beating rivals Barcelona according to the list by France Football. According to the report, France Football took into consideration players, television audiences, social media following, average attendances, income, expenses, market value of the team and the historical importance of the club. Barcelona are occupying second position on the top 10 list and they trailed Real Madrid by only seven points. Manchester United who have been unbeaten since Ole Gunnar Solskjaer took over are placed third on the list with 151 points. German club Bayern Munich occupy fourth position on the list, while Premier League giants Liverpool are placed fifth. So far on the list of the top 10 biggest clubs in the world, five Premier League clubs are on the list, while Real Madrid and Barcelona made it from Spanish La Liga. Paris-Saint-Germain are the only club from France, while Italian champions Juventus are occupying sixth position on the list. Real Madrid travel to face Ajax in the UEFA Champions League round of 16 on Wednesday, February 12, and are targeting a fourth successive European crown. Earlier, Legit.ng had reported how when he played for Real Madrid against city rivals Atletico Madrid in Spanish La Liga game. Courtois played for Atletico Madrid for good three seasons before he left after winning Copa del Rey, LaLiga Santander and Europa League titles. He made 154 appearances for the Spanish club before he returned to Stamford Bridge.